Disclaimer: I am not an expert, and the views contained in this post should not be taken as an indication to buy or sell. I will not be held liable for any gains or losses incurred as a result of one's individual investing decisions after reading this post. Not a lot, but if you put a huge amount of cash into this one stock, presuming the trend continues and it rises by 0.20 by the end of the year, you would have made $4000 from a $20K investment! That's a pretty good return! Market sentiment seems to agree on this, too. Of course, the fact that is is the first data centre REIT of its kind to be offered on SGX also makes it even more appealing to investors. 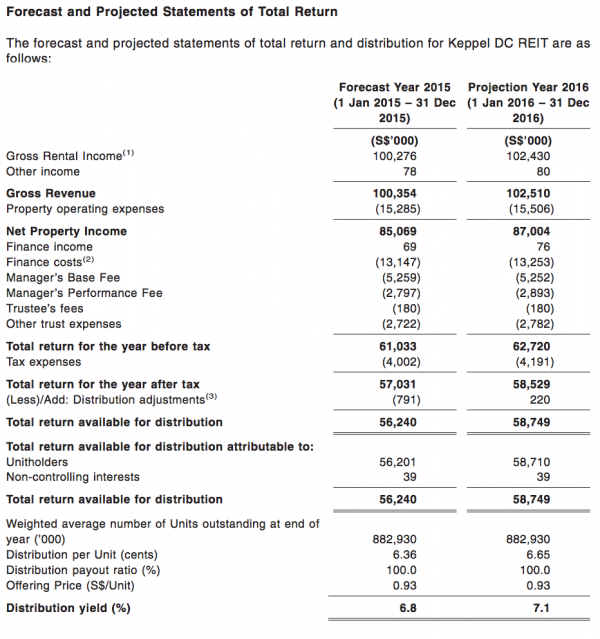 Keppel DC REIT themselves are also forecasting a yield of 6.8% for FY2015 and 7.1% for FY2016. Pretty attractive. In my previous post, I mentioned about the importance of doing your homework and understanding your investments before you pump in your money. In this case, we would need to understand the landscape of data centres first. Simply put, data centres are a facility housing a large group of networked computer servers, typically used by companies for remote storage, processing or distribution of large amounts of data. In other words, data centres are the backbone of a company. Imagine a bank for instance, when it comes to all the consumer data and records they have to handle and keep. Rather than build their own in-house facility, it may make more sense to outsource and store this information in a data centre instead, where they can easily access whenever they need to. 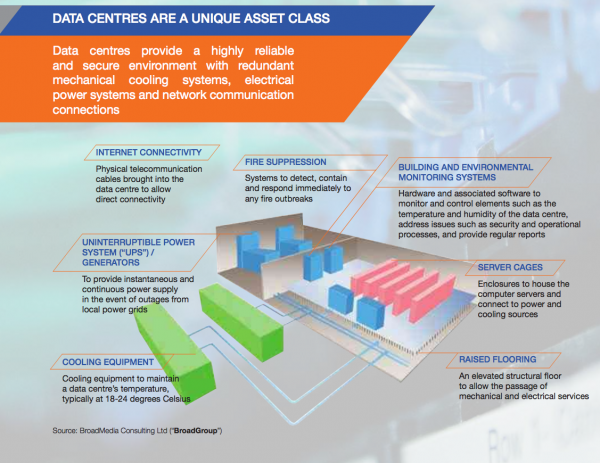 With the rise of data in today's information society, this brings good news to data centres. It is not cheap to build your own data centre facility. Upfront costs require you to either buy or rent the land, build the infrastructure (lots of wiring, hardware and cooling equipment needed), make sure it is safety-proof to provide your customers reassurance (what if someone wanted to shoot a gun through the server? ), etc. Operating costs would be incurred on maintaining ideal temperatures so that the servers do not overheat, electricity costs, manpower costs, maintenance, etc. Let's not forget the necessity of hiring skilled technicians to ensure your data centre is well connected and equipped as well. Customers also tend to prefer data centres with proven track records, as they don't want to take the risk of losing their information. I'm not too familiar with the numbers when it comes to quantifying the costs of switching data centre providers, but what I do know is that it can be a huge hassle for companies to transfer all their information stored on one data centre's server to another. Customers generally are not inclined to switch providers once they've found a trusted vendor, as failure or downtime can cause huge losses in revenue and also affect the brand's reputation. What would you think of DBS if their online banking system faced downtime too often? Thus, unless rental costs rise significantly (or if the data centre gets hit by issues, such as electrical fires or frequent security breaches), it is unlikely for most customers to take the trouble to change providers. Singapore is the hottest and most popular hub for Asia Pacific's data centre market at the moment. Aside from EDB doing a great job in wooing businesses here, much of its attractiveness comes in how we are one of the leading financial and business centers in APAC. Singapore's high standards and low corruption rates makes it appealing for Fortune 500 to set up offices here, and most companies prefer to have their data centre in the country where they work. Most importantly, Singapore allows information to be stored in a flood and earthquake-free zone, ensuring that there will be minimal disruptions to operations. The most popular locations right now are Singapore, Hong Kong, Tokyo and Sydney. Currently, Singapore is home to approx. 50% of Southeast Asia's data centre capacity, and this may grow as many MNCs view Singapore as the gateway for diverse connectivity to other Asian markets. Although Keppel DC REIT is the first and only one of its kind listed in Singapore, it is not the only such stock in the world. It faces tough competition from Equinix (the current leader) and Digital Realty. I've met the VP of Equinix for Asia before, and he had ambitious goals to grow the business for this region. Equinix currently owns two existing data centres in Singapore, and just opened their largest APAC data centre at one-north last week. Their clients include Apple, Facebook, AT&T, Amazon and Nokia. AT&T is one of the leading telcos in the U.S. (kind of like our SingTel) and Facebook keeps growing. 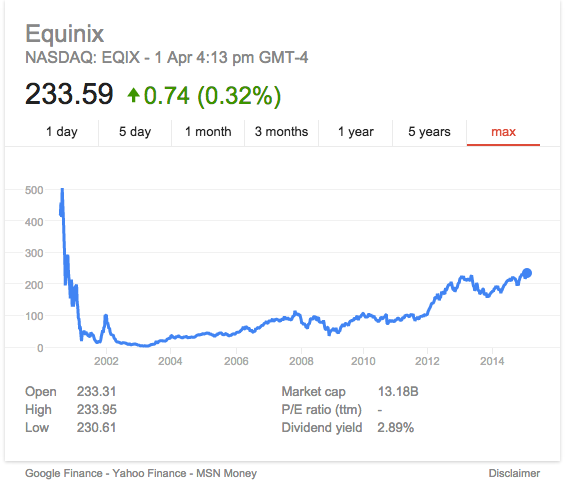 As long as these companies grow (and therefore their data would grow), Equinix will benefit. What about Digital Realty, then? Also another decent player, I've also met their APAC Marketing Director (Jihann) who has no less ambitious goals. Since their purchase of a Singapore data center in 2010, they've been citing the APAC region as their target for its next phase of growth. Their clients in this region include IBM and Adobe. Not as strong as Equinix, but a worthy competitor nonetheless. and even Fujitsu, which announced its establishment of its latest data centre housed in Equinix last week. 7. 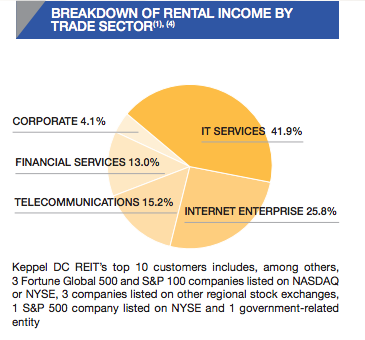 What is Keppel DC REIT's competitive edge? Their occupancy rates are also pretty satisfactory, with most at 100%, save for Singapore S25 and Citadel in Ireland. This means that there is not much redundancy (a data centre with low occupancy means wastage of resources, since differences in operating costs at 75% vs. 100% occupancy can be taken as almost negligible). Unfortunately, I wasn't able to glean information on who their clients are exactly. However, Keppel is a strong brand locally and in the region. It would therefore be safe to assume that many of their clients could be companies affiliated with them, and together with financial services and telcos, this provides a certain layer of protection and guarantee that the business at least will not go bust anytime soon. 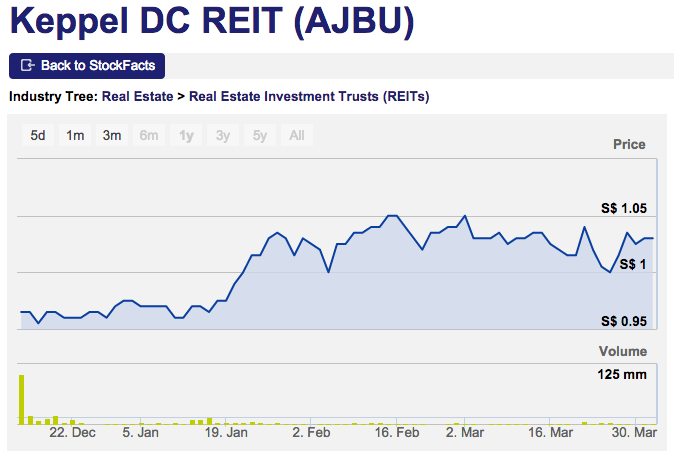 Yet, what competitive edge does Keppel DC REIT have over Equinix or Digital Realty? Very little, in Budget Babe's humble opinion. 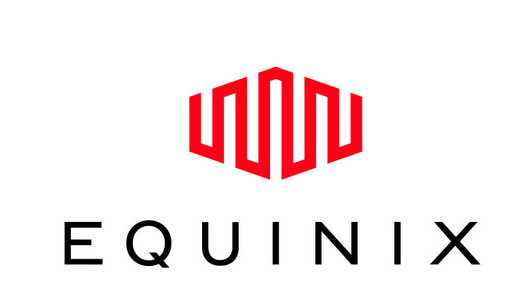 Equinix and Digital Realty are strong, recognizable names in the global and regional business landscape. Keppel DC REIT has done well in securing tenants so far, but in terms of growth, I am not sure if growth will be upwards. As a local entity, they have a perceived competitive edge especially considering how Singapore is so attractive as a data centre hub. However, Equinix and Digital Realty also have co-location sites here for customers to choose from. If you owned a Fortune 500 company looking to do business here in Singapore and APAC, which provider would you choose to go with? Let's presume rates and service levels are more or less competitive. If the decision was mine to make, my choice of providers would be Equinix, followed by Digital Realty, and then Keppel DC REIT as my last choice. Why? 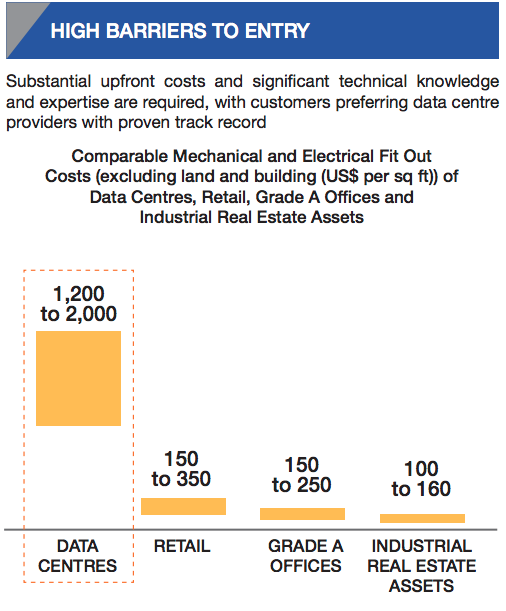 Because like what Keppel DC REIT claims, customers prefer "data centre providers with proven track record". 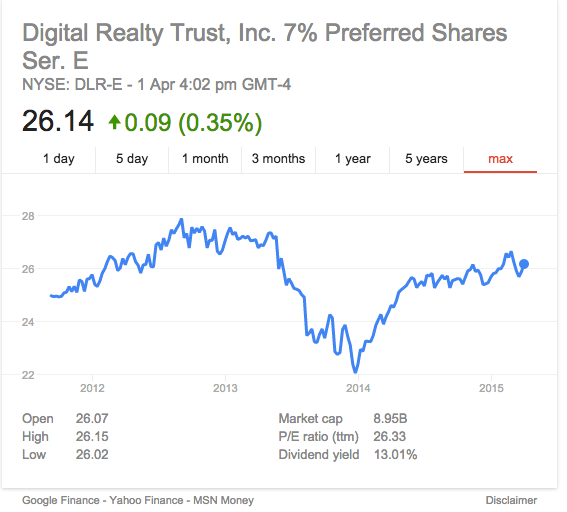 In this case, Equinix and Digital Realty clearly have a much stronger track record to boost of. 8. Conclusion: To buy or not to buy? On the surface, Keppel DC REIT looks like a pretty good stock. As you can see from my analysis, they have 5 (+) factors working in their favour (out of the 7 points I raised). What will Budget Babe do? I chose not to buy, because I'm not sure if Keppel DC REIT can stand out against its competitors and ride the wave of Singapore's popularity as a data centre hub successfully enough. Nonetheless, for the income investor looking to gain dividends on his stock, this could be a good option. However, I prefer to skip it for now. What are your thoughts towards the stock? Do share with me in the comments below! Great work on your first analysts! No comments on Keppel DC REIT but i think the name Keppel already means it is a good growing stock by name. Indeed, the yield is attractive for such a reputable company. However, I noticed the Distribution Payout Ratio to be 100%. I haven't read their prospectus yet, but I think the 100% payout ratio could likely be just to entice investors. Over the long-haul of maybe 5 years, I won't be surprised to see its payout ratio to decline gradually and the decline in dividend yield might put off some investors. Seems a little bit like Rickmers Maritime in my opinion. High dividend yield, but once the policy expires in a year or two, forget about the company. Good to buy at IPO and then sell it short term. Paying a premium for its assets. And the payout will go down to 90% in a few years. Might as well buy Equinix, which is converting to a REIT anyway. If you're into trading, then yes, definitely! For long-term investing this stock doesn't make much sense to me though. Equinix might be expensive, but let's see! Haha! I still think the whole sales-side story of this stock has been far too overhyped!